Andy Albright is the co-founder and President/CEO of National Agents Alliance, arguably the country’s largest and most productive Insurance Marketing Organization focusing on life event marketing and advertising and sales. Andy Albright has appeared in regional North Carolina magazines and newspapers, and his business National Agents Alliance was selected from a pool of 35,000 area businesses as the Triad’s Fastest Growing company by Greensboro’s Triad Business Journal in 2007. He was named to the Triad’s 2011 Movers & Shakers list by Business Leader magazine, and has appeared on numerous national radio shows this holiday season. Andy’s aggressive drive and refusal to accept the status quo helps make National Agents Alliance a success. When most Americans are calling it a day, Andy Albright can be frequently found making calls to his leading managers during the midnight hour. His managers relish these times, and would take calls from Albright at all hours of the night to get that extra bit of individual guidance. Andy Albright has a powerful desire to see his agency managers, often his best friends, succeed. 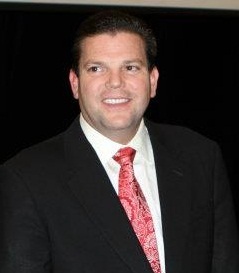 To outsiders, his rugged and raw determination can be intimidating, but to individuals closest to him – his family members, his top managers and his corporate executive team – know Andy Albright is a master at motivating people today to take action and push to the next level with National Agents Alliance. Andy Albright is a proud graduate of North Carolina State University, and is a published author of The 8 Steps to Success, which was published in July 2010. Andy Albright, who just finished his second book, Millionaire Maker Manual, is involved in several charities and organizations. He is a member on the advisory board for N.C. State’s Entrepreneurship Initiative and is a loyal follower of Wolfpack athletics as well as the Carolina Hurricanes. Andy Albright takes time to speak and mentor students at N.C. State a couple of times annually, and is a motivational speaker for assorted groups and organizations like Keller Williams. Andy Albright resides in his childhood household on 43 acres of stunning countryside near Burlington, N.C. together with his wife, Jane and two children, Haleigh and Spencer. The Albrights find pleasure in traveling, attending sporting events, concerts and watching movies together.